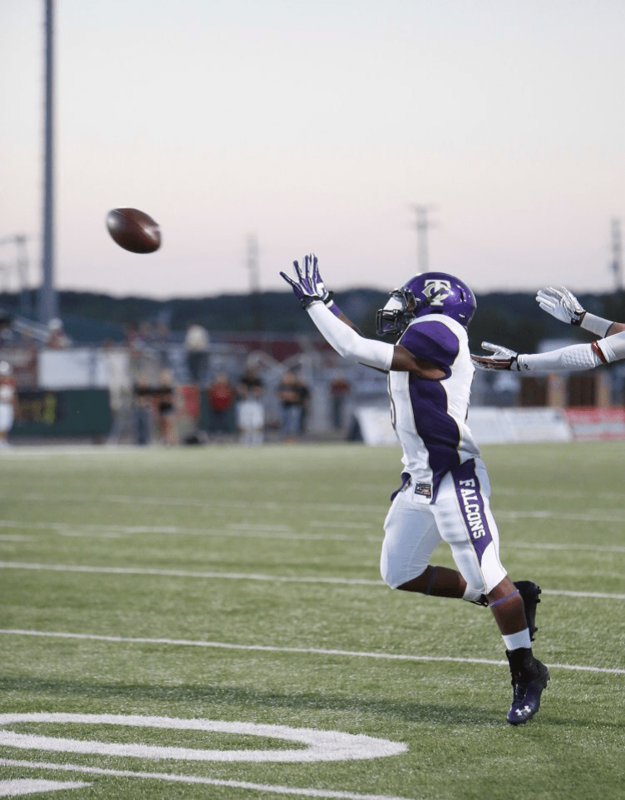 Timber Creek High School Falcons swept the Nimitz Vikings during their season opener last Friday night at Irving ISD Stadium. Falcon quarterback Konner Pittman started the game at quarterback, followed later by Anthony Millsap. Millsap would lead the Falcons to scores on its other five possessions in the first half. This resulted in a 31-20 lead by halftime. During the run, Millsap rushed for touchdowns of 1, 10 and 5 yards. He also completed 10 of 13 passes for 228 yards. Nimitz scored and was close to be within one TD with just 1:34 left before halftime. Millsap answered by leading the Falcons to 10 points. He finished the half by completing a 60-yard touchdown pass to Max Patton. Toward the end of regulation, Nimitz fumbled, allowing Millsap to lead the Falcons for a last minute drive, completing three passes. This set up Falcon kicker Benji Martinez to seal the final score by kicking a 36-yard field goal as the clock wound down. The Viking’s last possession and rushing efforts never made it beyond the Falcon 10 yard line. Final score: Falcons win an exciting game scoring 52 to the Vikings 41.